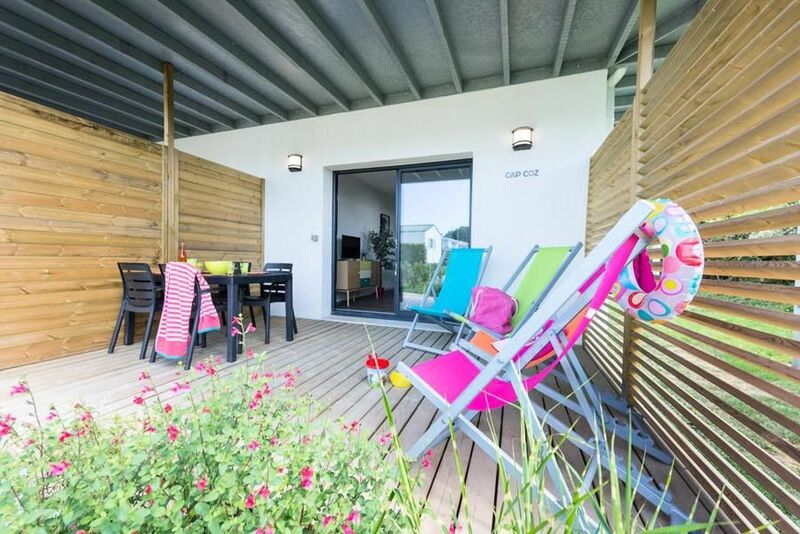 Cottage 3-room apartment for 4 people of 50m², consisting of a bedroom with 1 double bed (140 * 190), a bedroom with 2 single beds (90 * 190), a sitting area, a corner equipped kitchen, a shower room, separate WC and a covered terrace. Important: TV is not included in July / August. The terrace has a garden furniture and a barbecue.